The Association of British Professional Conference Organisers (ABPCO) has released details of a roundtable debate about the issues surrounding the provision of universal free wi-fi for conference delegates, as part of its Conference Cloud campaign. The event, which will be open to ABPCO members and non-members alike, will take place on 5 December at Twickenham Experience, the first venue to sign up to support the campaign following its August launch. The event will be attended by conference organisers, representatives from venues and other campaign supporters, and will feature presentations from guest speakers. They include Deborah Jones, AV and IT sales manager at the QEII Conference Centre, who will present from a technology perspective. The debate will be introduced by ABPCO chairman Michael Foreman and facilitated by meetings and technology consultant Corbin Ball. It will focus on three areas - technology: looking at the required infrastructure, technical challenges and cost-implications of providing free wi-fi; financials: examining the impact on revenue models of providing free wi-fi; and free wi-fi in action: where venues will share their experiences. 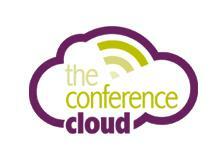 ABPCO announced last month that the Conference Cloud campaign had garnered the signatures of around 200 supporters.